Editing this time was a bit more hands on. It is really difficult to decide what to change and what to not. I both want to archive my exact writing style, so that it records how I progressed over the years, but also want the first read of the post to convey the message clearly. Even though the edits are still minimal, I feel it’s good that there is a link attached to the original post too, for “unadulterated childhood”, hah. I use Shift key for capitalization and there are so many stray and unnoticed shift presses in this post. I guess it was because the speed I would type at was faster than my thought. It’s an interesting exercise, editing things I myself wrote. This post is about how I and my brother got our first glance at 8-Bit video games in 1994-95. Now I will tell U all about how I came to know of the 8-Bit video games and how much I enjoyed them. When we first moved to Haryana (a state in northern India) I and my bro were 6 and 10 years respectively and we made two new friends (they were brother and sister). On the first day after we moved there, they invited us to their home for dinner. Before the dinner started, the parents were talking and we got to know each other. They showed us this THING. It was a VIDEO GAME (even though we had an Atari, we used to call 8-bit video games as Video Games and nothing else), and to add to that, the one they showed us was a SPECIAL one, the very first video game we saw was special, their TV could play Video Games!!!. They had to insert the game into the back side slot of the TV and there was a Wireless Game controller!!!! Since there is no such thing as Nintendo here in India, everything that we get are custom made variations of the original things. 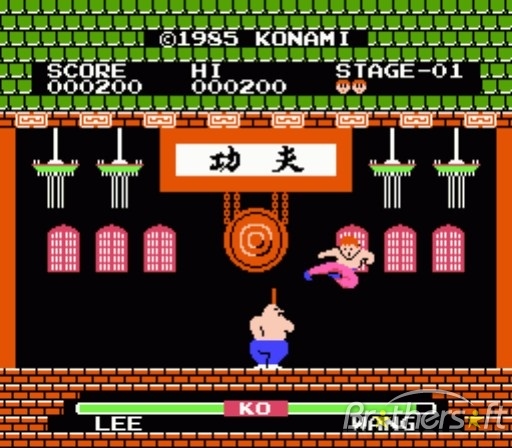 The first game that they showed was “KUNG-FU”, it was that game in which there was one-on-one fighting and we were the character with the red pants and we could jump and punch and kick. Whenever we punched the character would say something like “ku-Ku” and it was very catchy. Then they showed us MARIO and other games, because of which we immediately fell in love with it. That day we set up the video game and started playing the whole day, every console used to come with its own free cassette with 99999999 (no kidding) games (actually it’s just around ten and their multiple variations), but since ours was some special packing, we got the official Media 64 in 1 (separately purchased but only available in that place) which is like a LEGENDARY cassette in INDIA, there are many other 64 in 1s, but none as good as this. I will fill u all in some details first. In India the 8-bit games are the standard and everyone who owns a video game owns only these, a video game cassette costs more than a PS2 game (last time I checked, Ps2 DVD=Rs.65 Video Game cassette= RS.150 or more) and then some cassettes are of different price than most as everyone knows the value/rarity of these 8 bit games. Every cassette comes with more than one game, all cassettes (cartridges) are custom made by some person and mass produced. Instead of one game in one cassette, usually there are more than 5 games in one. Lower the number of games in one cassette, higher the price (4 in one ~Rs.350!!). There are many games which are of different names but same game with different variations, for example, there is a version of Contra which has 30 sub-games, and we can select any stage and have any permanent fire power. Cartridge as a word was not commonly used until it started referring to the thing you put in inkjet printers. Everyone called the media you put into the consoles as Cassettes as audio cassettes (not “tapes”) were the most common form of media back then. These cassettes were the size of Famicom cartridges, not NES. The console that we got was called the Media WhizKid, very well made and I think we still have it. The variations of games were what you would call now “Rom Hacks”. The cover arts for all these games on these 5-in-1 etc. cassettes would be vary drastically from the original game. They were Atari 2600 cover type artistic renditions. Games would have different names from their official names too. Just google for the images and see for yourself, haha. It was a market full of mass produced hacks, A TV that has a Famicom slot and has wireless remote control to play the games? In 1995? Nice frontier for experimentation with stuff. Many cassettes also had Chinese names on them, so I guess there was a lot of reverse engineering going on in India from Chinese imports. A very interesting world, more on that in the next post!